Is the aviation industry doing enough to nurture the next generation of pilots? Virtually every professional aviation organisation foresees an ever-rising demand for airline pilots, far in excess of previous levels, yet the financial barriers to entry into the airline pilot profession continue to get higher. Many flying schools are facing a shortage of experienced instructors, yet EASA rules make it difficult for the keen and experienced private pilot to become an instructor. Increasingly airports and even smaller airfields are ‘off-limits’ to the enthusiast or casual observer who just wants to see the daily comings and goings. As the flying profession frets about where the next generation of pilots and other aviation professionals are coming from, the airsports community appears to be leading the way in ushering in the pilots of tomorrow. In the first part of a special report, FTN looks at what is being done to encourage more young people to get interested in aviation. On a warm spring evening in London, the great and the good are gathering in St James Palace for the Air League’s Annual Reception and as part of the evening’s program, a number of awards are being presented by the Air League’s patron of the past 65 years, The Duke of Edinburgh. Amongst the awards presented that evening was the Scott-Farnie medal, which this year was awarded to the British Gliding Association (BGA). According to the citation, in recent years the British Gliding Association has pursued an increasingly active programme in encouraging young people to become involved in gliding and more young people are engaged in gliding than ever before. The award recognises the vigorous campaign to encourage young people into gliding and subsequent careers in aviation. Accepting the award was the BGA’s energetic CEO Pete Stratten, who is open about how the BGA’s campaign came about. “Six or seven years ago, it became apparent that the number of young people entering gliding was dropping, and if we did nothing, the average age of the glider pilot population was going to get even older”, he told FTN. With cheap flying and lower minimum ages for flying solo, the gliding movement had been a traditional point-of-entry for generations of new pilots. But the significant time commitment required by many gliding clubs, and resistance to change by some older pilots and club members, was making gliding a less attractive option to younger entrants. The response to the problem was an initiative by the glider movement called ‘Junior Gliding’. At its heart, is a network of ‘Junior Gliding Centres’, each of which is required to meet a ‘kite mark’ standard administered by the BGA which guarantees that procedures such as young person safe guarding and child protection procedures are in place. The endorsement by the BGA in turn means that other youth organisations such as the Scouts know that they can engage with Junior Gliding Centres whilst meeting their own obligations. Within the junior gliding movement (broadly defined as ages 14 – 25) there are strong financial incentives for young aspiring pilots. BGA membership is free to under 21s, leading to reduced club membership fees, and there is access to various sources of funding such as scholarships and bursaries. Junior gliding pilots can also access half price instructor courses (with funding for the other half often available from organsations such as the Honourable Company of Air Pilots – HCAP). Individual gliding clubs have also taken the lead in encouraging younger pilots, a typical example is the Bristol and Gloucestershire Gliding Club have a ‘cadet’s scheme’ for 14-18 year olds. The club will teach the cadets skills such as driving retrieve vehicles, launching and retrieving gliders and flying gliders to solo standard and beyond. In return, the cadets get exceptionally cheap flying – typically a 30 minute flight costs around £20 and annual club membership is just £90. According to Pete Stratten, as the 21-25 age group doesn’t appear in these number, it’s accurate to say that there are over 1000 pilots involved in junior gliding – or around 14% of the total of BGA club flying members. Pete also notes that the movement now also has a number of under-21 glider instructors. 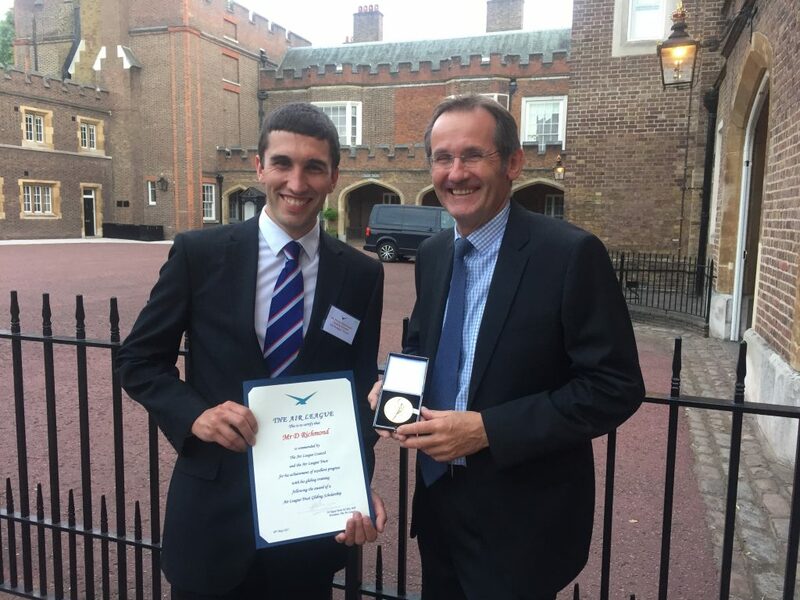 Leading the work of building the junior gliding movement was Andy Perkins – himself a former Air League scholarship winner and gliding instructor before becoming a commercial pilot (he now flies Boeing 777s for British Airways). According to Andy – who is now vice-chairman of the BGA – the key to the success of the junior gliding movement has been empowering younger people to lead the sport themselves. Although junior gliding does have a competitive aspect, with an annual junior national gliding championship, just as important are the other activities organised by the junior gliding pilots themselves – such as a non-competitive gliding week and a ‘winter series’ to keep pilots engaged ‘out-of-season’. At all points the focus is on advancement – learning new skills and gaining experience. Andy also says that the network of junior gliding centres is vital, so that if junior glider pilots move location (for example, to go into further education or start work), they can continue to fly within the junior gliding ‘umbrella’. It is maybe not coincidence on the same evening that Pete Stratten was collecting the Scott-Farnie award to the BGA, Andy Perkins was collecting a Presidential Meritorious Service Award. The citation notes that he took over leadership of the Youth in Aviation Sub-Committee of The Air League in 2011, which he has since developed into a robust young peoples’ organisation now known as ‘The Leading Edge’. In common with junior gliding, the Leading Edge is run by members, for members. 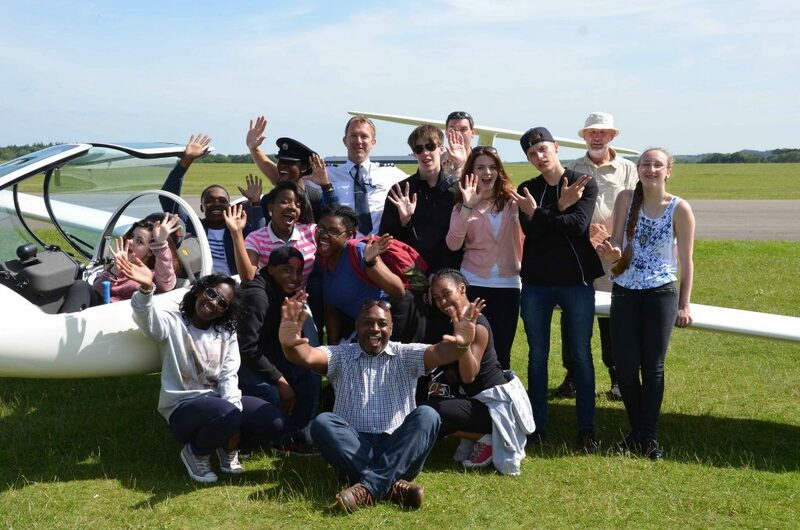 It complements the Air League Trust’s formal scholarships and bursaries programmes and acts as a wider network for people interested in flying, or wanting to pursue a career in aviation. The Leading Edge is open to all members aged under 35, allowing them to meet like-minded individuals, together with industry leaders, at events, lectures, social gatherings and visits to various related venues. Again, the key to the success of the leading edge is empowering young individuals to run the organisation themselves according to Andy. If the gliding movement has led the way in encouraging more young people to become involved in aviation, other airsports are not far behind. The Light Aircraft Association has launched a series of initiatives to raise awareness of ‘Flying for Fun’ among younger aviation enthusiasts. In addition to a new ‘30 Under 30’ membership offering, reducing the annual membership to £30 for under 30s, the Association is running a series of young peoples’ Airfield Experience Days at its Turweston headquarters, it has appointed two LAA Ambassadors in the form of pilots Arthur Williams and Lauren Richardson, and it is taking the lead in encouraging more young British artists to take part in the global FAI Young Artists Contest.